The other "cool" blood with shader effects with high resemblance to that in Bioshock, is showed and "spilled" or "sprayed" in real-time. P.S. Just look at the floor in the second Gif of the Assault Trooper, when the camera lowers because of the punch. You can see the blood splatters reflecting the blue and red light from the cop sirens. It's hard to see, I don't think it's been placed there on purpose because is barely visible. It's real-time guyz! Last edited by Psyrgery; 05-04-2009 at 04:22 AM. I wonder in how far you can interact with the Bus and the police car in the picture. I doen't seem that you can enter them. But you can do damage to them, cause the police car in the back is damaged. ^ it could just be the way model was designed though. Looks like Vegas or some other major city. Anybody else think that's the Devastator? I wonder how much those in-game assets have changed since Jace Hall Show premiered them. I remember 3D Realms saying that it was 6months or older footage, and "a lot has changed since". Yeah i remember that too. George also said the particle effects and the combat fx have been replaced with new hotness. even better than the footage shown? Must be the best game ever! I'm sure the graphics have stayed the same, or they would have to get a new engine, and they say they wont do that again, don't know what to believe, or care much really. That part, but I'm speaking of the meshes and other art assetts. At least Duke Nukem himself has had few iterations already since the thumbnails. Well, in a sense you might say that. But what George has been talking about then is a matter of tweaking the existing Duke model. Not remaking it from scratch. That doesn't really tell us anything...The damaged car could be a prop obstacle like you see in dozens of other FPSs out there. If you look at the pig armor carefully.....it looks like it's removible. Yeah, I know, that was said before. But what thing of DNF wasnt already said before? Just don't mess up the environment from 2001. I see what appears to be a zoom feature listed. Will this be for scopes (which iirc, there won't be any sniping style weapons, unless 3DR has changed their minds on the matter) or will it be used for something else? What do you guys reckon? Probably the same as the Half Life/Doom 3 zoom, which is used for scanning your surroundings. I'm actually really interested to see how they do holoduke in 3D. Closest thing I’ve seen since Duke 3D is the distraction mags in Metal Gear. I expect a Duke model just standing there, maybe moving a little bit, but when shot, whatever gets hit reacts with a ripple that goes throughout the body. ^That would look pretty cool. It looks like it's sneezing... fire! This thread is both cool and sad. It's great to see so many details found in those vids. But a second later I realize that we're talking about a 1,5 year old stuff (for both, teaser is Dec 07, JH footage was 6 months old when released around June 08). I mean seriously, 1,5 year and nothing. I'm not sure if you're sarcastic or not. Not sure if this is allowed under the new rules, but here goes. This got locked within the DNF folder, but as there are so many more images floating around now. Thought it would be good to try and restart a thread ONLY ABOUT THE PICTURES!!!! For a game that is supposedly 90% finished there are awfully few screenshots leaked.. If the whole dev team was fired after 12 years you'd expect a flooding of screenshots.. but no. 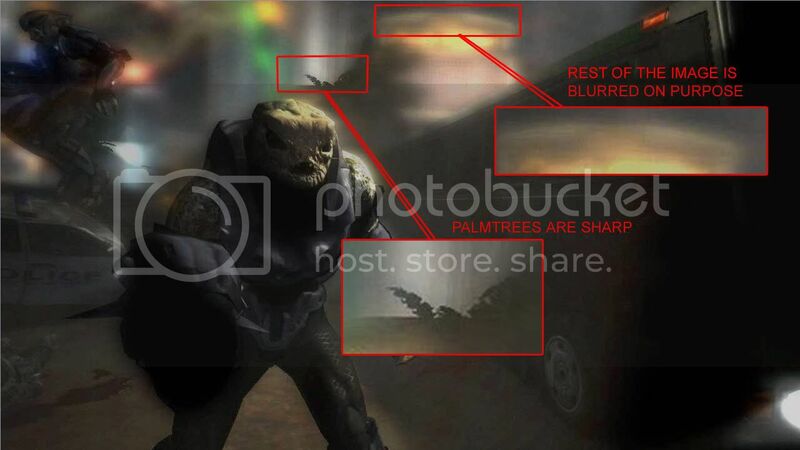 I'm calling a hoax.. be it either the end of 3DRealms or of the 'almost complete' development of DNF. Didn't no one notice the the dates of the file? If I'm right, the last day developers were able to work on the game was on 05/05/09 (The previous day before 3DR closed down). If the dates in that file are correct and if we take them as reference (From the first day it was created, until the last day it was modified), in 508 days a 60,8% of the game had been developed. That is an approximate average of 0,119% from the total of the game levels creation per day. It's been 280 days since the last update of that file on 29/07/08. If we follow the approximate level creation average per day, we'd obtain that an aproximate 30%~35% of the total of the game levels have been created by the day 3DR closed. That is, ladies and gentlemen, the state of the levels was about 90%~95% finished the day 3DR shut down!!! I can't believe they left the game when there was only 5%~10% of content left. This is a linear calculation, however if we add crunch time in the equation where people work more hours at the end of a project so they will produce a bit more, we can assume that the game has reached if not 100% (completed) then at least something above at least 98%. Ok, assuming your calculations are correct (since i based mine on yours) and getting the above with a little grain of salt, then they're extremely close to completion now. If not finished. Last edited by Bad Sector; 05-12-2009 at 03:07 PM. Why can't we just talk about the images instead of turning this thread into another release date/conspiracy thread (getting it locked)? This is not a conspiracy thread.. this is the great Hoax thread.. Anyway ,the dates on those files are a bit 'strange' to say the least.. Nothing strange about them at all. It's seems like 3DR got their act together and were planning to release this in about a year. Ironically, close to the finish line they tripped and broke their neck. I must say some of the images show attention to detail that I have expected from such a long development period. oh dear, you are not helping us Angelo. Yeah, that just makes me mad again. Last edited by Angelo86; 06-25-2009 at 06:53 AM.